TIP: Feel free to experiment with these breakfast bowls! You can use any variety of veggies you have on hand and use a variety of grains as a base too. 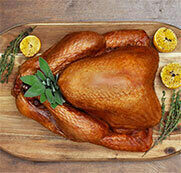 Remove turkey meat from the sausage casings. Take one third of the meat, roll into a ball and flatten into a patty. As an alternative, slice the sausage into pieces. Cook the sausage patties/pieces for 4-6 minutes per side on medium heat until no longer pink and cooked through. Set aside. Heat oil over medium heat. Cook sweet potatoes on all sides until cooked through, 12-15 minutes. Season with salt and pepper. Set aside. Sauté zucchini and kale until cooked through, 4-6 minutes. Season with salt and pepper. Recipe can be made up to 3 days ahead at this point. Cook eggs to your preference. 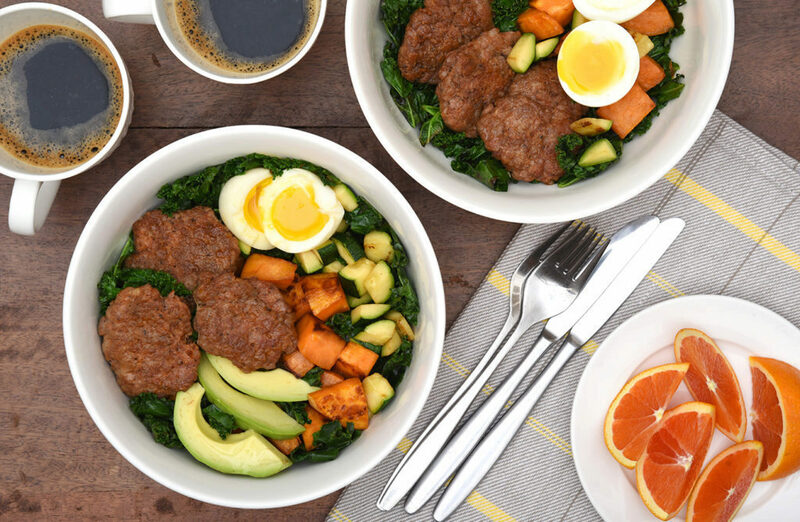 Assemble the bowls; use the kale as the base, top with sweet potatoes, zucchini, avocado, eggs and sausage.